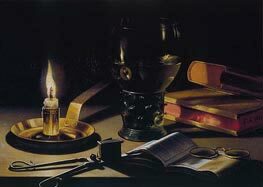 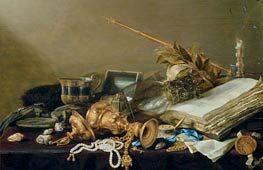 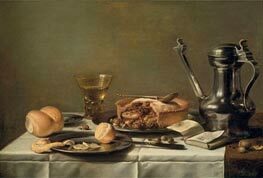 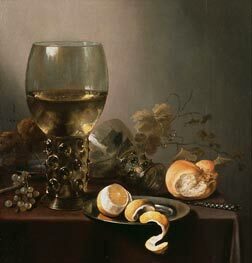 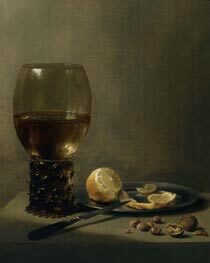 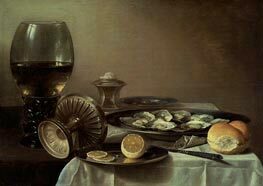 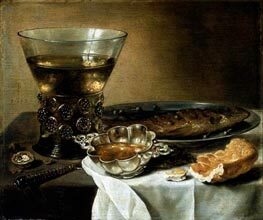 Pieter Claesz (ca. 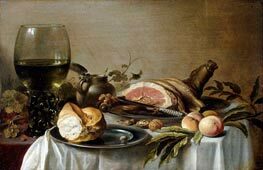 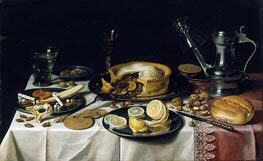 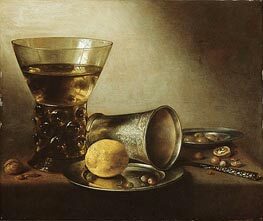 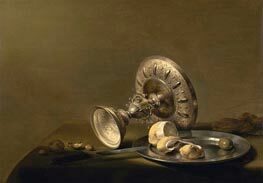 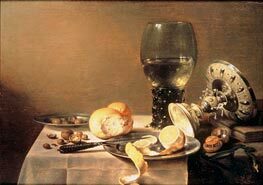 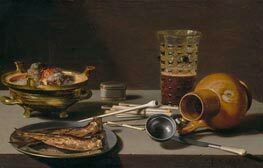 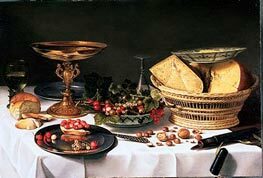 1597-1660) was a Dutch still life painter, born in Burgsteinfurt, Westphalia (now Germany) and active in Haarlem, where he settled in 1617. 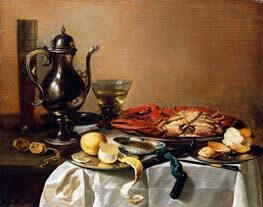 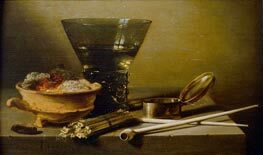 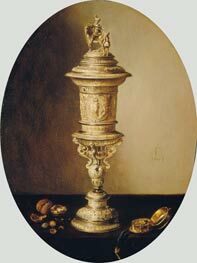 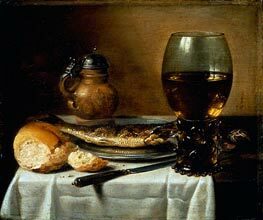 He and Willem Claeszoon Heda, who also worked in Haarlem, were the most important exponents of the "ontbijt" or breakfast piece. 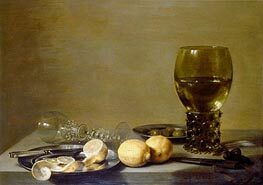 They painted with subdued, virtually monochromatic palettes, the subtle handling of light and texture being the prime means of expression. 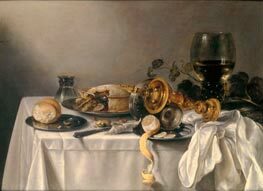 Claesz generally chose objects of a more homely kind than Heda, although his later work became more colourful and decorative. 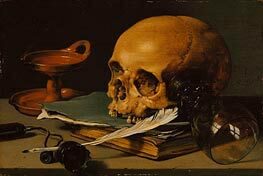 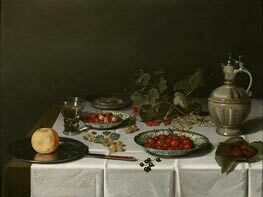 The two men founded a distinguished tradition of still life painting in Haarlem; but Claesz. 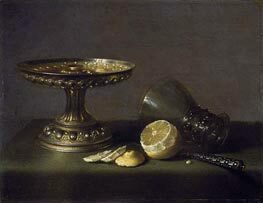 's son, Nicolaes Berchem, became famous as a landscape painter.